I have been a busy bee making some lovely lasting seasonal decorations to hang in your windows! 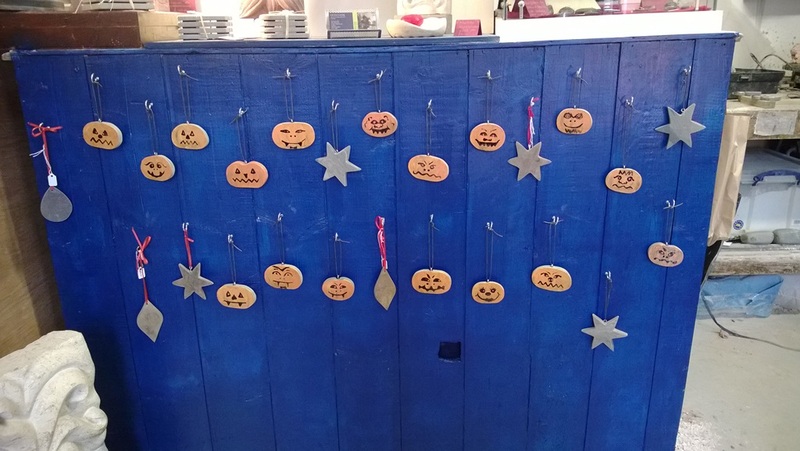 I have cut some Chinese slate into pumpkin shapes, sanded them and then painted them up with different pumpkin colours and spooky faces!! They are between 40 and 50mm wide and all completely different. They all have silver plated loops and waxed cotton to hang on and are £8.50 each.